Google has made some changes in appearance of search results. When you search for a particular keyword in Google, you might have noticed those author faces against a search result. You see them because of Google Authorship. Google has made this change to avoid any duplication of articles and to reserve author’s right to its content. Yes, a lot of people just used to copy others’ work and because of this quality of search results was not good. Adding Google Authorship to your blogger blog will allow your results to stand out from others in Google search. By doing this, you may also get more visitors to your website because people usually click on results which has a picture in it. To add Google Authorship to your Blogger blog follow the following simple steps and in the end do not forget to check it using Google Structured Data Testing Tool. Step 1: Login into your Blogger dashboard. 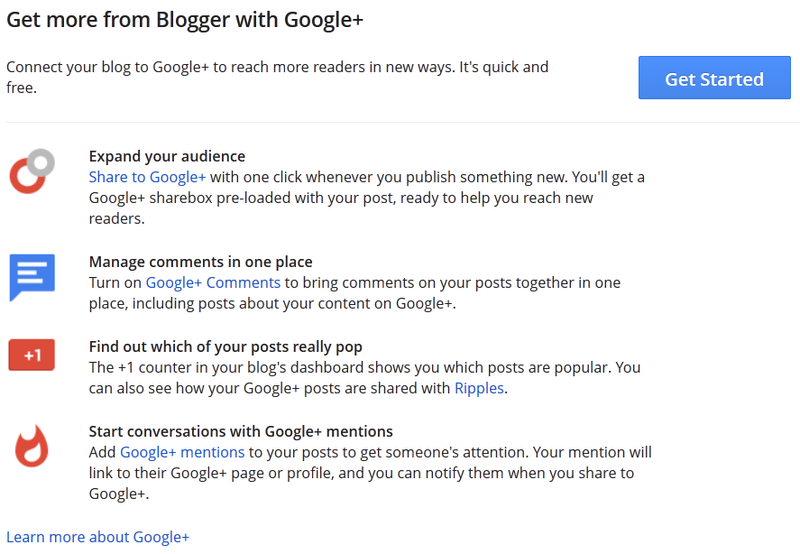 Step 2: From your Blogger dashboard overview click on the Google+ tab below the comments tab. Step 3: Click on get Get Started to connect your blog to your Google+ profile. 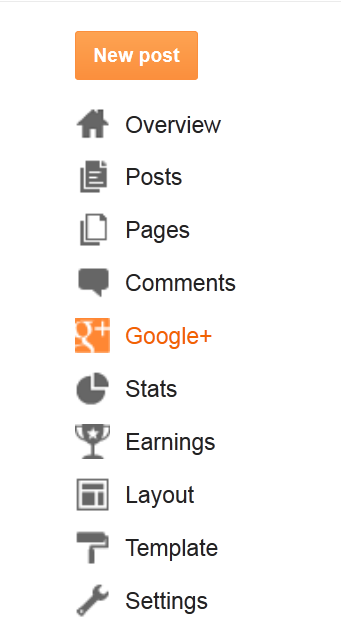 Step 4: On the next page switch your blogger profile with your Google+ profile by accepting the terms. Step 5: On the next page add blogs to your profile for which you are claiming authorship. Step 6: Go to about section of your Google+ profile. 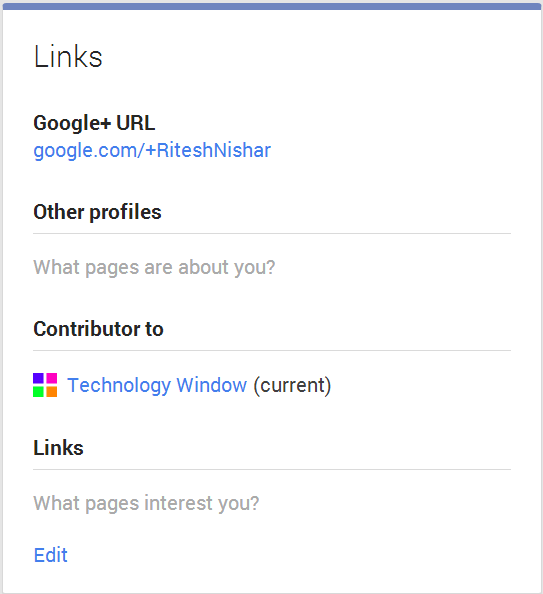 Check if it is showing your Blogger blog link in the “contributor to” section. It should look like as below, with your blog’s name instead of Technology Window. If the link is not there then just add your blog’s URL manually. Now to check how it will actually look in a search result, open Google Structured Data Testing Tool and enter your blog’s URL. After entering your blog’s URL hit preview button. It will look something like below. Search results may not show this instantly as it may take some time for changes. Also note that, you will not see your profile picture every time in a search result. For best results add a good picture of yours in Google+ profile. It should show your entire face properly.